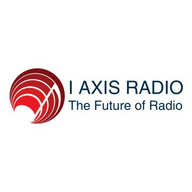 I Axis radio has been established as the future of internet radio. Bringing music to the masses with visual radio programming that sets the stage for independent as well as seasoned artist of today,while giving all artist an equal platform to promote and display their talents. I Axis Radio Live The Future of Radio, There is no limits to what we do.